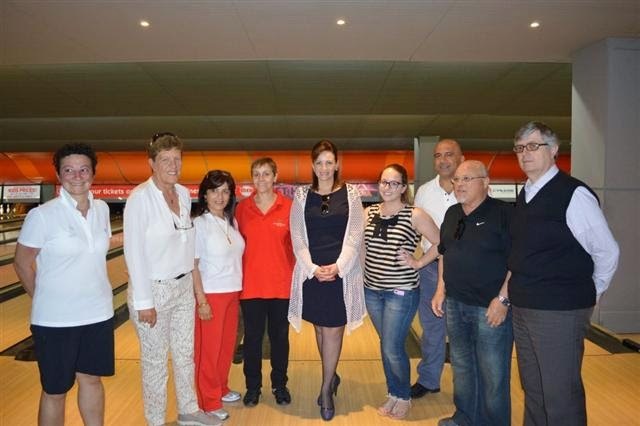 On Tuesday 13th May, the Malta Special Olympics held a 3 game tournament at the Eden SuperBowl in St. Julians. The Honorary President of the Special Olympics, Mrs Michelle Muscat showed her support towards the organization by also attending the event. Upon arrival Mrs. Muscat greeted all the athletes whilst giving words of encouragement to the many who were eagerly waiting to meet with her. After the tournament, Mrs Muscat handed out medals to all the bowlers in order to commemorate their participation.